EzyDog Leashes are available in numerous styles, colors and sizes. The perfect leash for your medium dog is just one click away. We have many recommendations based on your dog’s lifestyle and the activities you enjoy with your pup. These include training leashes, shock absorbing leashes, running leashes as well as high traffic leashes. The Zero Shock Leash Collection features several styles of leashes that use Zero Shock Technology for added comfort and control. The hands-free Road Runner Leash is great for runners. It can attach to waists of all sizes or can fit over the shoulder as well. This provides you with free hands during your run with your dog. The Zero Shock 48 Leash is a great fit for a medium dog. It includes a grab handle for those high traffic areas when you need to keep your dog close to you. 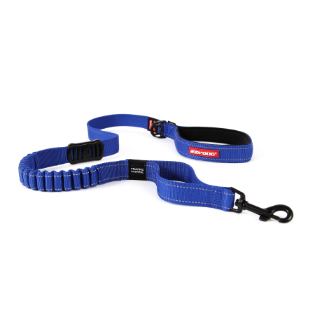 Both of these leashes feature neoprene handles that are soft to hold onto. 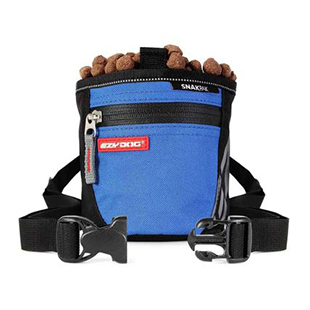 The Cujo 40 Leash is another excellent choice for your medium dog. The pyramid handle is a pleasure to hold onto and will provide you with excellent control. The bungee in the leash will provide a cushioning barrier between you and your dog for a more comfortable walk. This leash is also reflective for night time safety. The Soft Trainer Leash, Vario 4 and Vario 6 Leashes are webbing leashes that all excellent options for medium sized dogs. These soft webbing leashes offer various features and functions including reflective stitching for safety. Check out all of the EzyDog leashes for medium sized dogs to get the best match for your pup. Whether your dog is a puller or going through training or you have specific activities you enjoy with your dog, we have a leash that is going to enhance your time spent with your dog.